Ever since I can remember I was told to treat others the way I wanted to be treated. Who knew that it was biblical. It hit me today that no matter what you are going through or how people are treating you, a good rule of thumb should ALWAYS be to treat others the way that you want to be treated. Don’t treat people the way that they treat you because some people will treat you nice and some will treat you mean. If you spend time adapting to how each person treats you, then you will be an emotional wreck. You would be up one moment then down another. Some people use kinds words to compliment you, but they are dripping with sarcasm. Those kind words mean nothing when they are wrapped up in a neat package of negativity. You end up walking away feeling confused and hurt. I want to encourage you to treat people the way that you want to be treated. For example, I want to be treated with love and respect. I want people to be honest with me. I want people to be patient with me when I make a mistake and not disregard me like filthy rags when I stumble. I want all of this and more. So that means when people treat me worst than mess on the bottom of my shoes, I will not return to them what they are giving me rather I should give them what I want. The best way to tell a person how you want to be treated is by showing them. If they treat you nasty and you respond in a nasty way then they will continue to treat you that way. But if you speak to them with respect and show compassion, eventually they will change. I am by no means saying that this is easy. On the contrary, it’s a challenge to be nice to someone who is being mean to you. That is when prayer comes into play. We have to be actively seeking God in prayer to help us treat others the way that we want to be treated. No matter how they treat us, we will treat them with love, respect, honesty, compassion, and so much more. Assignment: Take a moment to write down how you want to be treated. Now take a moment to write down how you treat others when they are mean or nasty to you. Do your two list look similar? I have to be honest my list look different, so that means I have to work on getting them to look exactly the same. I pray that God grants you a spirit of compassion to treat others with the love of Christ no matter how they treat you. One of my sisters in Christ is a Finalist in the running for the “Face of Fox43”. She needs everyone’s help. Watch the video on the link below as many times as you can. In order for your vote to count, please watch the entire video. It’s not long! Forward it to your friends, neighbors, and more. It’s okay if you don’t know here personally, as brothers and sisters in Christ we are all connected by the blood of Jesus! Let’s help push her FACE to FOX43!!! God bless. Thank you for your help! Good afternoon! Happy Monday! I pray that everyone had a wonderful weekend! Think about when that special someone in your life is coming over for dinner; ladies you pull out all of the stops. You find a new recipe and cook like you have never cooked before. You will make sure your hair is nice, make-up is just right, and your outfit would be fierce. Men, if you were taking her out to dinner, you would pick out the best restaurant, get a fresh hair cut, and put on that cologne that smells “Oh so good”. Yes, we will do our best to impress. We will pull out all of the stops to give them our best. So if you would give your best to man/woman, why won’t you give your best to God? Why do we give God our leftovers? We pray at the end of the day after we are worn out and drained from work and our family. We read the bible every now and again because we had too many other things to tend to first. We are so engulfed in our secular relationships that we can’t possibly fit God in everyday. I want to encourage you to give God your very best. God wants ALL of you. The very best of you. Not the leftover, tired, drained, busted and disgusted you. But He wants the first thing in the morning you, that is wearing the big smile. He wants the first date you, where you will get all decked out for a grand night on the town. He wants the “you just received great news you”, you know the one that’s jumping up and down for joy about the new opportunity that is before them. Don’t give God your leftovers. Make time for God at the start of your day. Make time for Him all through out your day. When you go to God, don’t always go wanting Him to help you out of a jam. Go to Him with your best attitude of gratitude. Go to Him with your best smile. Go to Him with a praise that will make the heavens rejoice. Give God your very best. God doesn’t deserve anything less than your best. Stop giving man the main course and giving God the leftovers. He wants the very best in you. It’s only right, since He gave you His best, His Only Son! Food for thought: How often do you give God your leftovers? 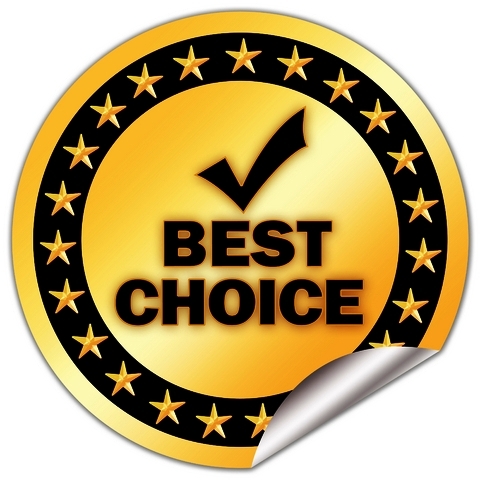 What can you do to make sure you give God your best? Have a blessed day. GIVE GOD THE VERY BEST OF YOU TODAY! Good afternoon! Happy Thursday. Today is my last day of summer session in grad school (until after labor day) and I want to thank you all for being patient with me. Sometimes I have a TFTD ready to type, but then I’ve been over loaded with work. Praise God for opportunities to advance. I am so grateful for everything He is doing in my life. Finding balance in the many areas that I operate in can be difficult at times, but with God I can do all things. Thank you for supporting my blog and sharing it with others. One definition of determination in Webster is the act of deciding definitely and firmly. I’ve discovered that anything worth doing in this life is worth doing with a spirit of excellence. The only way that we can strive for excellence is if maintain a level of determination to persevere against all of the odds. When you run this race called life you have to decide firmly that you will not give up. You have to decide that no matter what happens you will not give up on yourself and more importantly you wont give up on God. See we all have to run a race. When I think about it, we really run a lot of mini races during the course of our life which makes up this marathon. Now we all are running, but only the one with determination will finish and obtain a prize. Spiritually we run to receive the prize of salvation and help lead people there along the way. Physically we run to receive promotions on our jobs, elevation in ministry, advancement in the academic society, become a successful entrepreneur, and the list goes on. What separates you from the next runner is your determination to finish this race. I don’t know what you are looking to accomplish in the near future or in life, but I do know that you will have to be determined to stick it out. The enemy will try to attack you from all sides, but if you make a firm decision that no matter what you will trust God, then you will make it. Have a blessed day basking in God’s presence. Good afternoon! I pray that this finds you all doing well. Fear is not an option when you trust in God. Fear has been defined as false evidence appearing real. We allow things and people that have no power to cause us to retreat into a state of distressing emotion. We allow impending danger, evil, pain, and anxiety to build up inside of us. Most of the time the threat is imaginary. YES, most of the stuff you are afraid of doesn’t even exist. 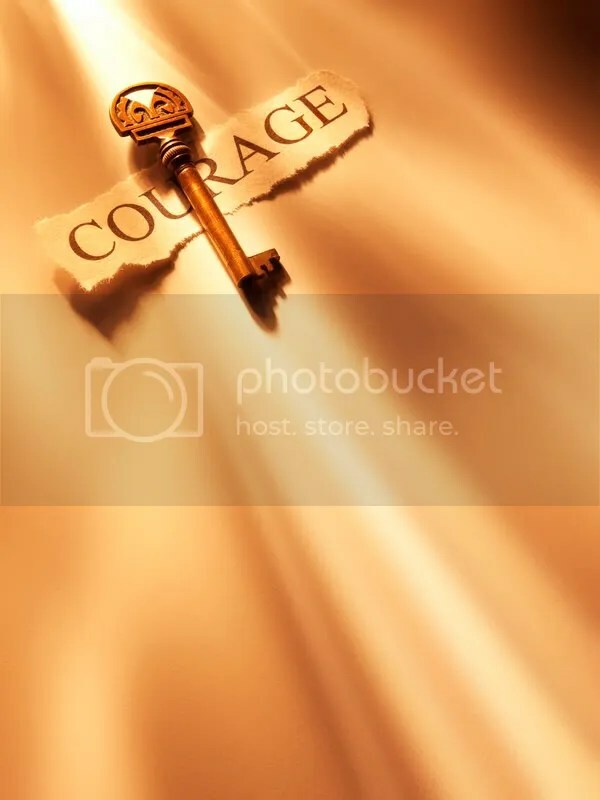 2 Timothy 1:7 says, “For God has not given us a spirit of fear, but of power and of love and of a sound mind.” Fear is not an option when you trust and follow Christ. 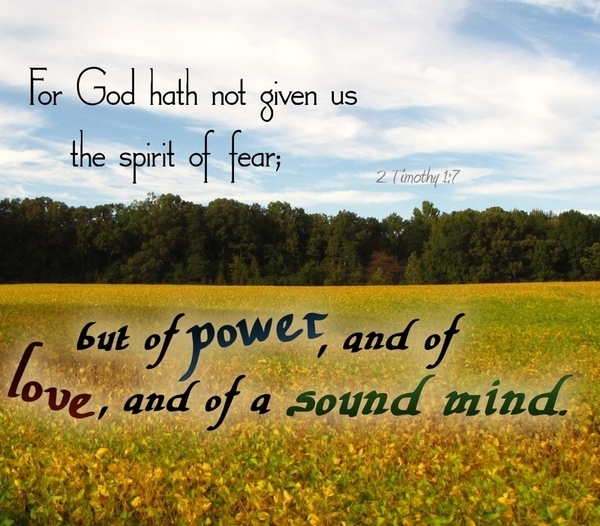 GOD HAS NOT GIVEN US THE SPIRIT OF FEAR. So why do we walk around allowing imaginary things to scare us from even trying? Someone reading this has stopped trying to become a better parent, you have stopped trying to better yourself by pursuing your goals and dreams, you have stopped going to church, you have stopped praying, you have stopped seeking guidance all because of fear. FEAR IS NOT OF GOD. LET IT GO! God is strong and mighty. He has all power. Stop holding on to things that don’t even matter. Hold on to the fact that God has given you power, love, and a sound mind. Tell all the fake stuff and fake people that are trying to scare you and intimidate you that they have to go because you serve the ONE TRUE LIVING GOD who has given you the power to do all things (Phil. 4:13). Tell yourself that fear is not an option. Imagine what you could do if you would just stopping being afraid. Remember fear is not an option when you are walking with God! It’s time for someone to kick fear to the curve and go after their dreams! Good afternoon! Happy Friday to you all! I am currently finishing up my summer semester at school and needless to say my brain is in over-drive. I wanted to wish you a blessed Friday and have a wonderful weekend. I wanted to send you off this weekend with a little poem. But what God can do for others through you. Have a blessed day! Never look at your suffering as a bad sign, look at it as God is using you to lead people to Him. Think about it, someone suffered just for you to get where you are at and now it’s time for you to repay the favor. Let God use you in every good situation and challenging one. Remember it’s not about you anyway, rather what God will do through you for someone else! Good afternoon. Happy Wednesday to you all! Every time you take a step in life you are going somewhere. You are either going forward in life or going backwards. Life is a journey and you have to make sure that you are seeking God’s direction. When you pray for God to direct your path, you have to trust Him enough to follow Him. I caught myself asking God for things and when He began directing my steps I allowed fear to cause me to doubt that I could make it. I would start questioning how things would work out. Would I have enough time to fulfill that task? Would I have enough money for that project or next phase in my life? Was this really for me or did it belong to someone else? Was I capable of succeeding? These are just a few things that would run through my mind causing me to doubt God. Yes, I am being transparent. When I started questioning God, I began doubting that He could do all these things through me. It’s like me and God are in the car together and He created the world and knows where everything is, but I was asking Him if He knew how to get me to the next state. Ha! I have to laugh at myself and I know God laughs at me too. The more I study God’s word the more I stop doubting Him. I think it’s not that I doubted God’s ability, I doubted that He could use me to get this stuff done. God reminded me that He won’t lead me where He won’t meet me. Before I was born God knew who I was destined to become. The same goes for you. He went before you and knows that you can make it in every aspect of your life. You may be desiring a new career, but doubt your ability to carry out the task, but God can do all things through you. When God blesses you with that new job, trust me, He is already there. He has already equipped you to be successful. You may be desiring to go back to school and doubt that you can afford it or have time in your busy schedule, but God will meet you there with all that you need. God won’t lead you, where He won’t meet you. God will never lead you astray. He will make sure you have all that you need. Learn to trust Him and trust that He can do all things through you. Even in your dry season God can make your life flow seamlessly. Let God be the driver of your life. He has packed everything that you need for your journey and if you need anything else, He will equip you with it or lead you to someone who can help you. The question is, will you trust Him? Good Morning! Happy Monday. I pray that you all had a joyous weekend. Never take for granted the little things. There is always a reason to praise the Lord you just have to decide to praise Him no matter what! When was the last time you planned a date with the Lord? Seriously? We make plans and preparations for everything else in life, but how often do we plan a date with the Lord? When was the last time you spent quite intimate time with Christ? When I hear the word “date”, I think of some alone time with that special someone. I think of a nice dinner, nice conversation, mixed with intense love stares into each other eyes. I plan out what I’m going to wear, how my hair looks, making sure my make-up is just right. How much preparation do you go through for some alone time with Christ? I must say I am speaking to the choir this morning because there are times when I give God the “left-over” portion of me and my day when I should really prepare to give Him the best of me. The more alone time you spend with the Lord the better equipped He will make you for dealing with people in the world. Let’s be real, it’s a challenge to deal with “church folk”. If you never spend quiet time with Christ how will you be able to extend love to the difficult people and situations that you will encounter? If you never spend deliberate intimate time with Christ how will you be able to serve effectively in the ministries that you are in? You do know that your ministry consist of your family, your personal relationships, your interaction with people on the job and school, your church ministries and so much more. Ministry is a life-style. You are in ministry 24-7! The only way you can stay nourished is if you plan consistent dates with the Lord. Take time to prepare to worship God. Be intentional about your prayer and devotional life. God is ready to take you to the next level, but He can’t give you instructions for your assignment if you never meet with Him privately. When was the last time you made a date with the Lord? Will you make a date with Him today? Start with 10 minutes a day and then increase it as your heart desires. Get to the point where you have to meet with God daily. Have a blessed day! Enjoy God and all of His splendor! Good afternoon! Happy Friday. Thank you Lord for carrying me through this week. I say “carry” because sometimes we can become so busy that the only way we can make it to the finished line is if someone carries us. I know God carried me to the close of a busy work/school week. All praise and honor goes to God. “But of that day and hour no one knows, not even the angels of heaven,but My Father only. Every time I turn on the television the news is filled with destruction, violence, and hate. Parents are taking the lives of their children, children are killing children, our streets are being saturated with drug dealers and turf wars. Even if we step away from the violence that is being inflicted person to person, the news of people dying at younger ages due to illness, accidents, and even no cause at all are rising. One thing you can be certain of is that we will all expire from this life. The question is will you be ready when God calls your name? Don’t delay your salvation. Tomorrow is not promised and next week may never come. We can’t outrun death, but we can run to God. If God returned today, would you be ready? Do you know Jesus Christ as your personal Lord and Savior? Do you believe that Jesus hung on the cross for your sins, died, and rose again? These are important questions to ask yourself. If your answer is no, I would encourage you to stop delaying your salvation. Don’t let the sun go down without making sure you have a relationship with Christ. You never know the day or the hour God will return nor when He will call your name. Will He see your name in the Book of Life or ask you to depart from Him? It’s tight, but right. Don’t delay your salvation. God is waiting for you! Share the gospel of Jesus Christ with the lost and the wanderers. Encourage someone with your testimony today. It’s sad when a loved one passes, but it’s tragic when someone passes and doesn’t know Jesus for themselves. Have a blessed weekend. Accept Christ today! Good afternoon! Happy Wednesday to you all! Remember to always make time for Christ and plan a devotional period throughout your day. I’m so grateful for the support that everyone provides me, this blog, and my book. Thank you all for taking a chance on a little nobody that is now somebody because of Christ. TFTD: Who will you serve? We live in a day in age were everyone serves someone. Whether we admit it or not, we serve someone and even things. The problem comes when we begin serving the wrong people and things. We are career driven and begin chasing money and in turn we start serving money. We are hungry for material things and we begin serving items such as cars, jewelry, shoes, clothes, etc. We are attention seeking and we begin serving people for attention, but it’s the wrong type of attention. We want what we want and when we want it, so instead of serving the ONE that can provide us with quality things we begin serving people and items making them our mini gods. Yes, I said it, mini gods. 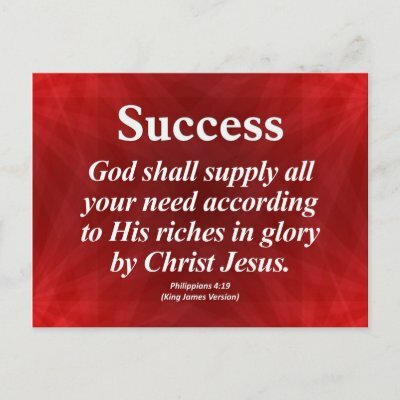 Philippians 4:19 (NKJV) says, “And my God shall supply all your need according to His riches in glory by Christ Jesus.” When you serve God He will supply all of your needs. It may not be all that you want, but He will make sure you are taken care of. You think you know what is right for you, but God knows what is best for you and what will destroy you. When you serve God, He will orchestrate everything else in your life. He will give you the career you desire, the income, the material possessions, the spouse you desire and so much more if you would serve Him. God is a jealous God and you should never put anything or anyone before Him. Some people serve their children more than they serve God. Yes, you have made your kids a mini god. Some people serve their pastors more than they serve God. Yes, I said it you have made your pastor your mini god. Some people have made themselves mini gods. If the shoe fits wear it and if you don’t like what your lifestyle and habits say about you then change them. Exodus 20:3 (NKJV) says, “You shall have no other gods before Me.” You have to choose who you will serve. WHO WILL YOU SERVE? Is God a priority in your life? Is He the head of your life or the bottom of your desires? WHO WILL YOU SERVE? Take time to think about who you serve and see if it’s time to make a change. As for me and my house we will serve the LORD!